As much as we love ripe tomatoes, by midsummer, we’re already fantasizing about our fall vegetable garden. 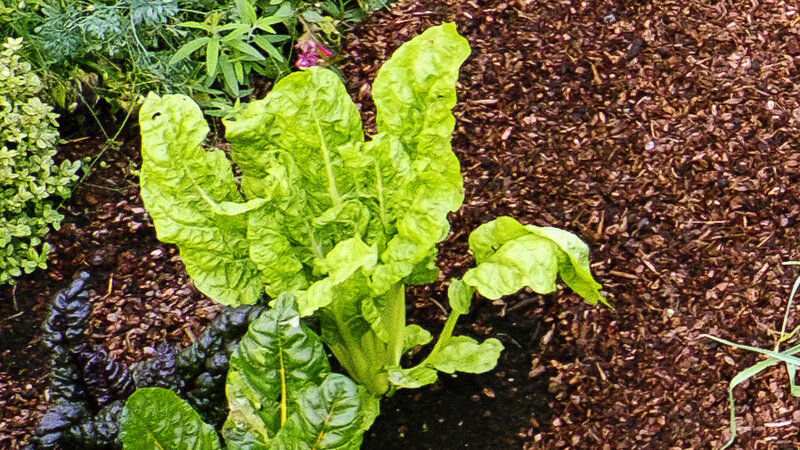 While rangy tomato vines and dead cornstalks make their way to the compost pile this time of year, we replant our Test Garden beds with the prettiest edibles: structural Swiss chard, voluptuous cabbage plants, and vining snap peas. 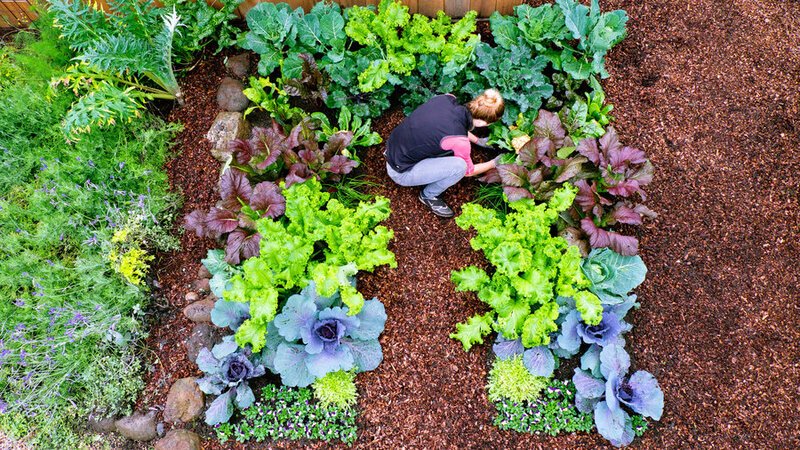 By getting the garden established in the still-warm fall days and watered by rainfall, a cool-season garden looks good from autumn through spring. 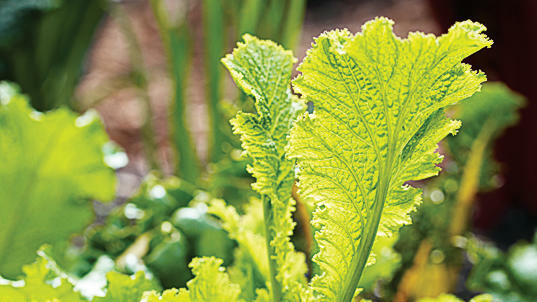 Click ahead for tips from our vegetable plots, from design advice to the best vegetables to plant for the cool season. 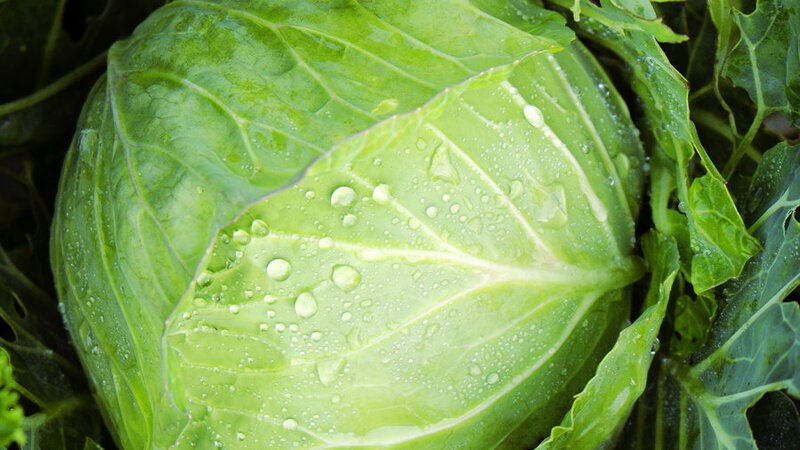 'Marvel of Four Seasons', a heading heirloom variety, has sweet-tasting, wavy bronze-tipped leaves. 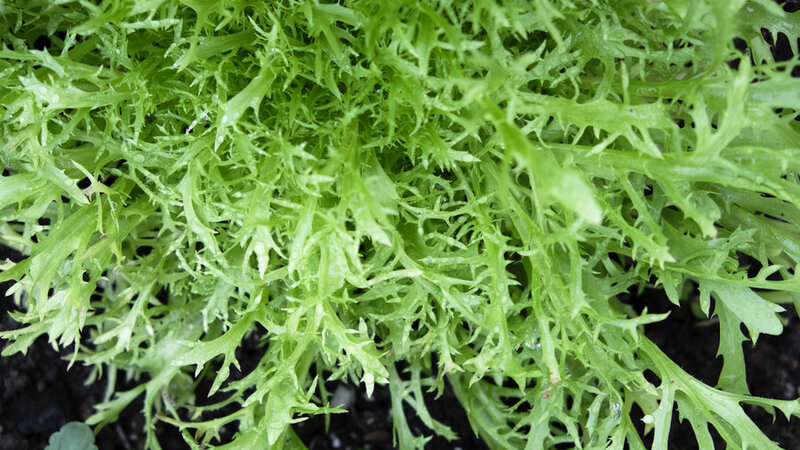 This Mediterranean green (also called curly endive) is prized for the spice and texture it brings to fresh salads. 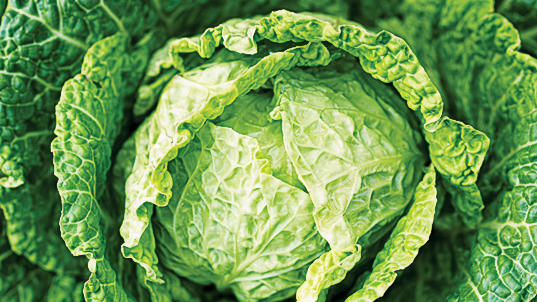 Frisée and other endives tolerate more heat than lettuces but grow faster in cool weather, typically maturing in 90-95 days after sowing seeds. 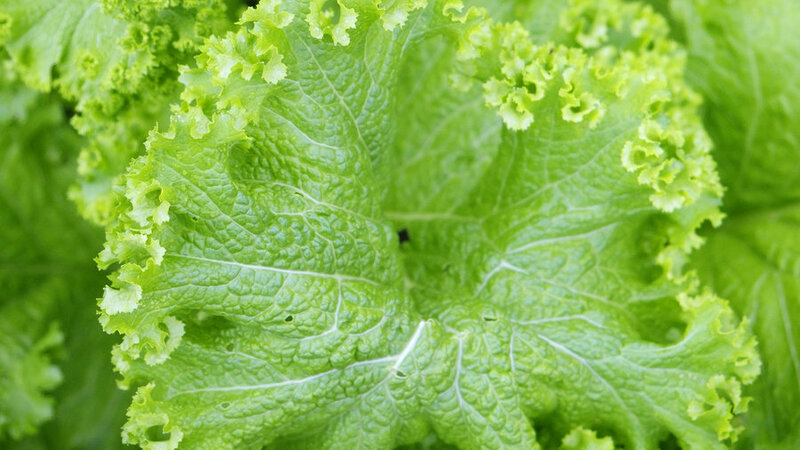 Tender leaves add bite to salads and other dishes. For best flavor, harvest them when they're 4 inches tall. The sturdy stalks of 'Bright Lights' come in a rainbow of colors, including gold, pink, red, and white; the frilly leaves are dark green. ‘Red Giant’ forms stunning maroon leaves with bright green ribs. 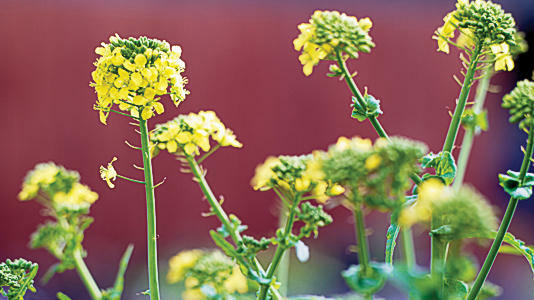 Spicier than store-bought mustard varieties, it makes an excellent addition to salads paired with robust poultry and meat dishes. Light frost deepens the flavor and color. Sweet and pungent. 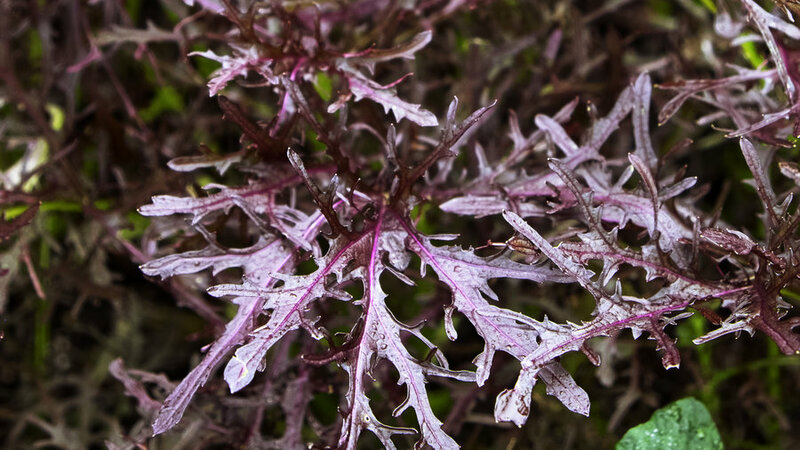 ‘Ruby Streaks’ mustard grows from a center stalk surrounded by a frill of finely serrated, ruby-colored leaves. Cool weather causes the color to deepen to deep purple while higher temperatures can prompt the plant to bolt (send up flower stalks). 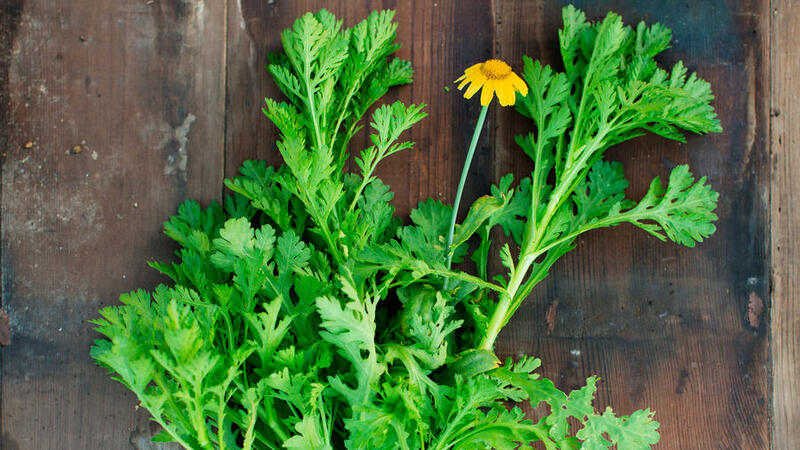 If allowed to flower, the edible blooms can be snipped for garnish for soups, salads, or open-faced sandwiches. 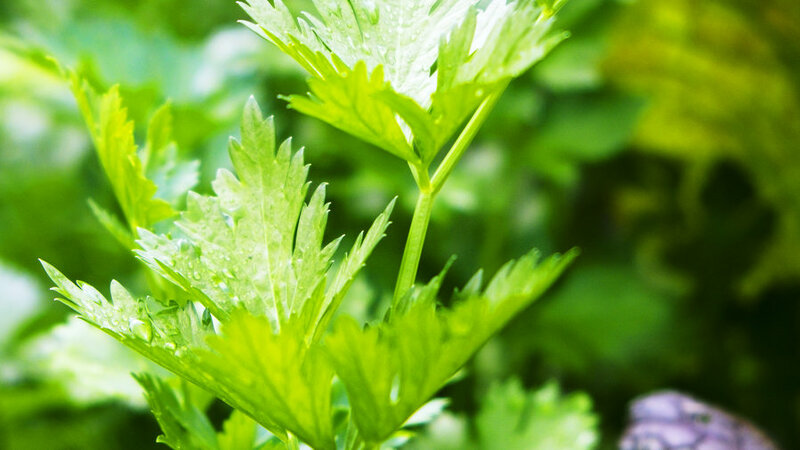 Bright green leaves practically glow in a fall garden. The hot flavor mellows when cooked, and this variety is slow to bolt. Super-ruffled 'Winterbor' is a vigorous grower that stands up to cold temperatures. Leaves turn sweeter after frost. 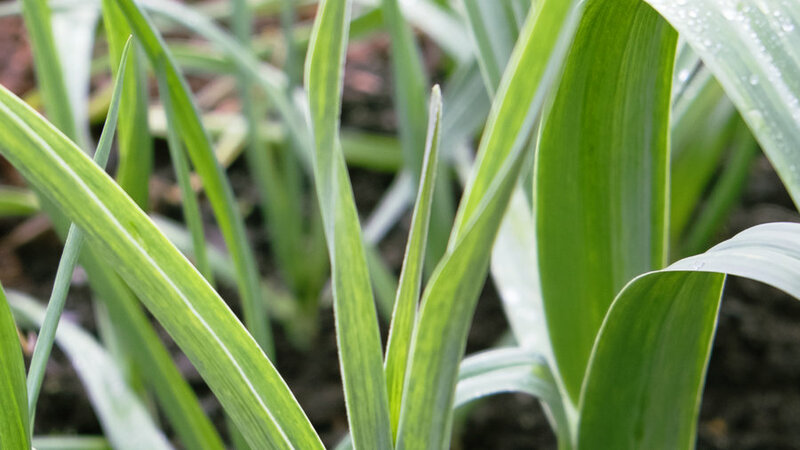 Bumpy gray-green leaves of 'Nero di Toscana' are tasty, ornamental, and extra hardy. Blanch, then add to penne pasta along with cooked Italian sausage. Pan-fry in extra-virgin olive oil with preserved lemon and red chile flakes. Simmer until tender, chop, and layer into meat or vegetarian lasagna. 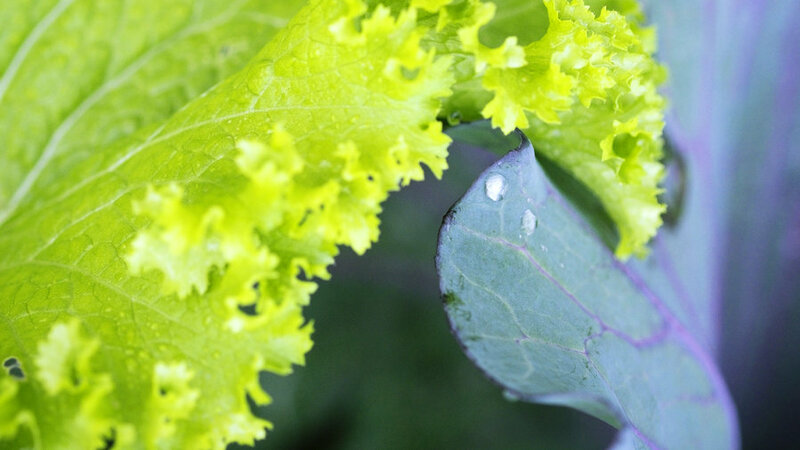 This broccoli/kale hybrid produces small broccoli heads and side shoots that keep growing large, tender leaves. 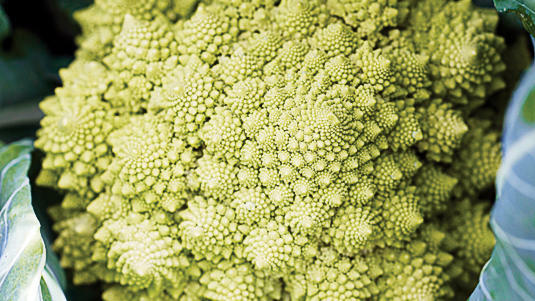 The multipointed chartreuse heads of 'Veronica' have a texture and flavor similar to mild, nutty cauliflower. Steam florets and toss while still warm with your favorite vinaigrette. Sauté florets in butter with oil-popped mustard seeds and cumin seeds. Roast florets with olive oil, olives, and halved shallots. 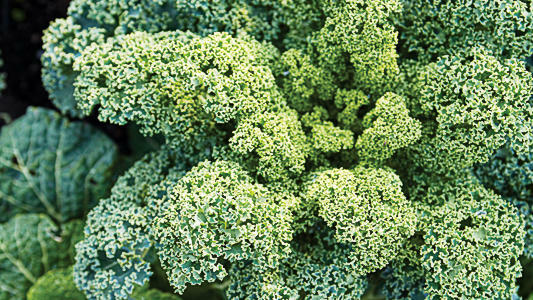 Leaves and small florets of 'Spring Raab' have a slightly stronger flavor than broccoli. 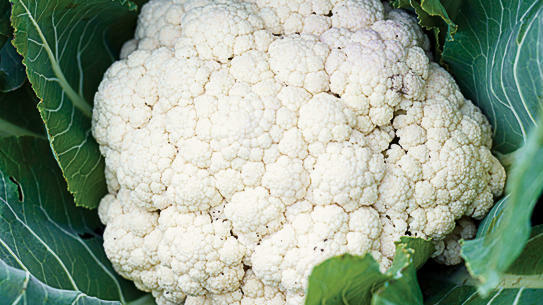 'Cassius' has round, creamy white heads that reach 7 to 8 inches across, with a rich flavor. Lime green 'Alcosa' forms tight heads, ideal for closely spaced planting. Braise with olive oil, onions, bacon, and caraway seeds. Chop coarsely and pan-fry in butter with diced potatoes. Steam individual leaves until just tender, then use the leaves as wraps for steaming fish. Stunning both in the garden and on the plate, ‘Red Jewel’ forms deep burgundy leaves in almost perfectly round heads. 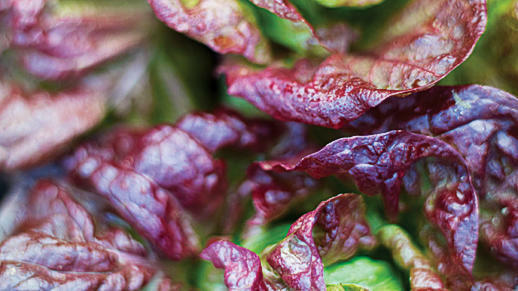 The mild flavor, crisp texture, and stunning color make it one of our favorites for cool-season edible gardens. 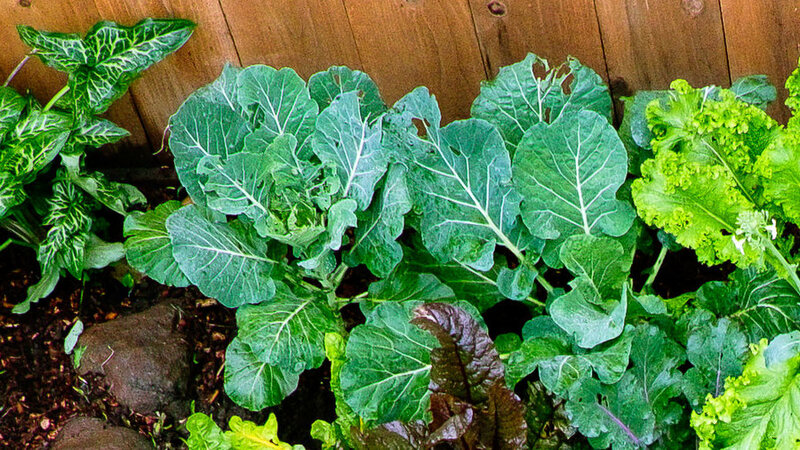 Collards produce large, blue-green leaves and taste like a combination of cabbage and kale. Flavor improves after a light frost. 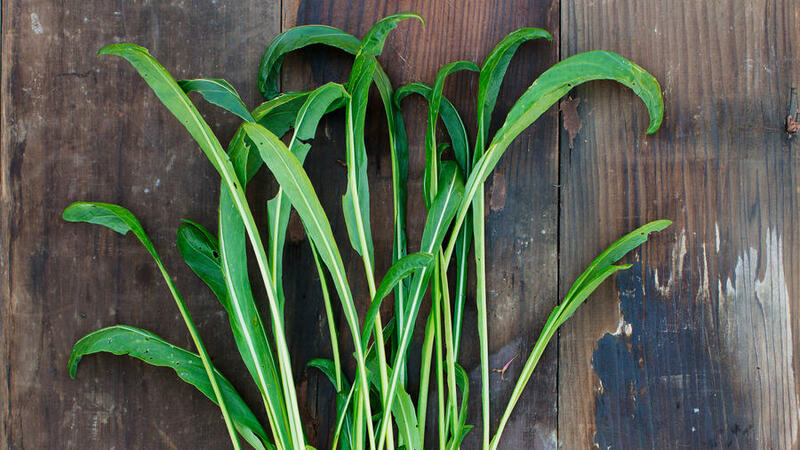 ‘Georgia’, a favorite Southern variety that also grows well in the West, produces tender leaves with a mild flavor. 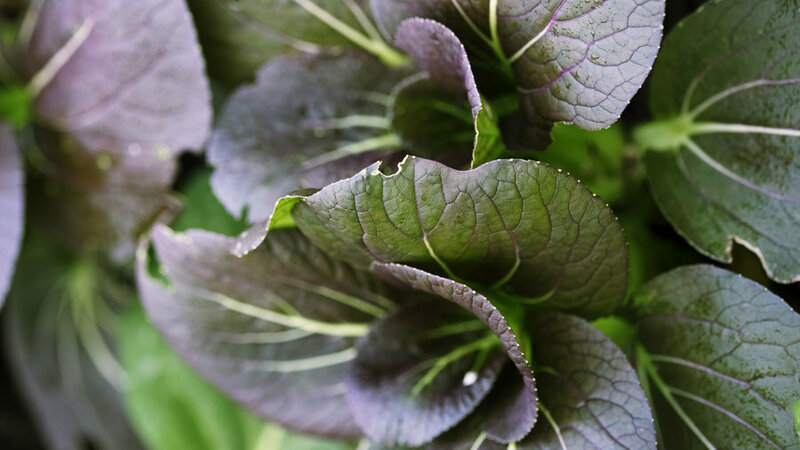 Similar to the all-green varieties in flavor, red bok choi (also called red bok choy or red pak choi) grows beautiful russet leaves which deepen in color in cool temperatures. 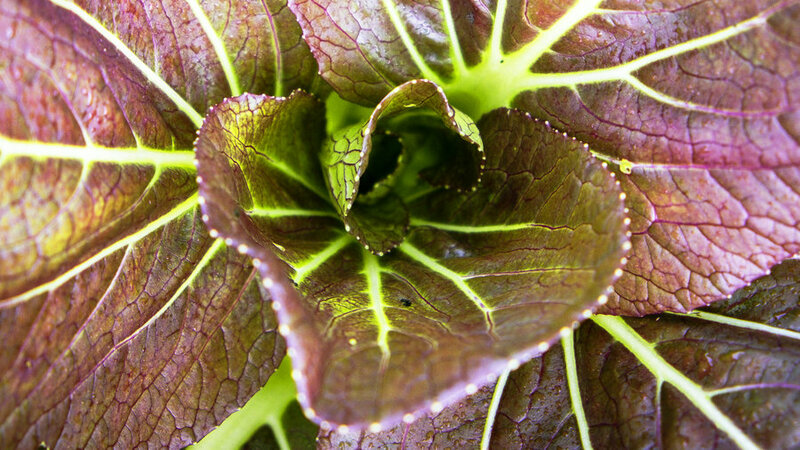 Harvest outer leaves to add to salad mixes or cut the entire plant to stir fry. Both the white and green parts have a strong, zesty flavor. Closely related to leek, elephant garlic forms unusually large edible bulbs with a mild garlic flavor. 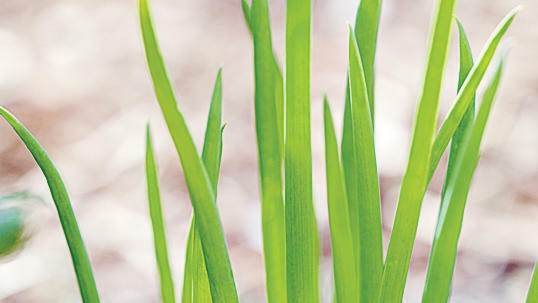 Young leaves can also be snipped and used like scallions. 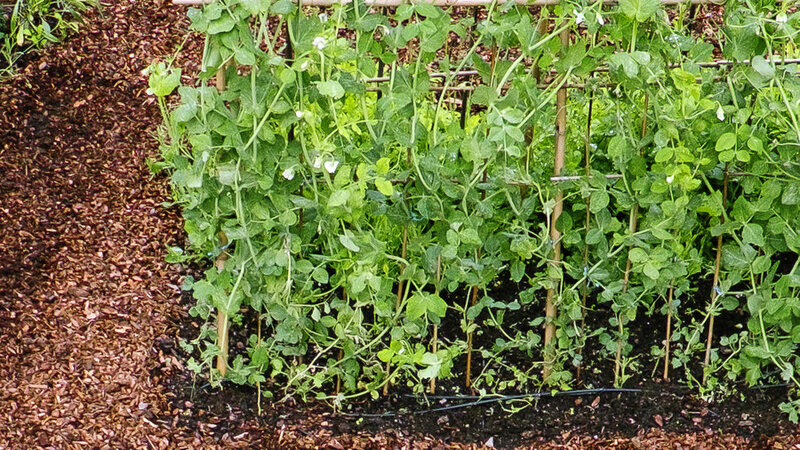 Grow tall peas with the support of trellising or choose a bush-variety that requires no support. ‘Super Sugar Snap’ (pictured) is a tall-growing variety that can be eaten either as a whole-pod when picked young or left on the vine and harvested for shelling the peas. 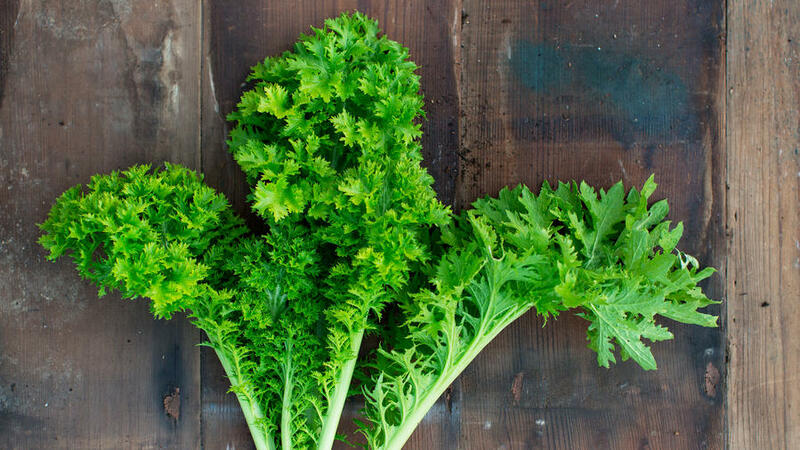 This leafy herb is more about an intense celery flavor than a crisp stalk. Keep it on hand for adding to soup stock. 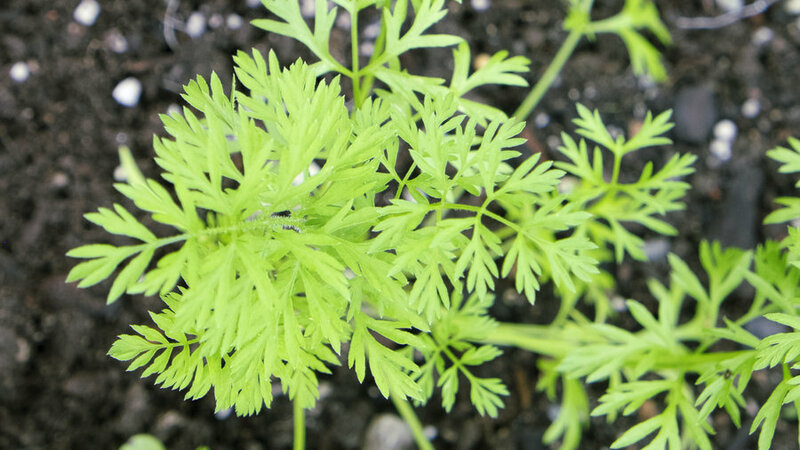 Start seeds for carrots in sandy soil completely free of rocks and clods. ‘Purple Sun’ produces deep purple carrots with a center sunburst of gold—particularly pretty sliced in salads. Slow to bolt and easy on the eyes, plant in groups for splashes of deep purple color throughout the winter garden. 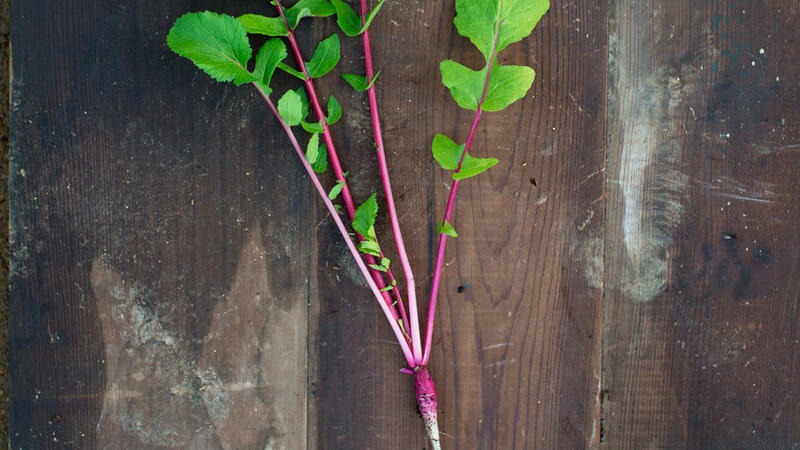 These rounded peppery leaves are tasty and lack the prickly texture of most radish tops. The name says it all—lime green with a nose-tingling kick. 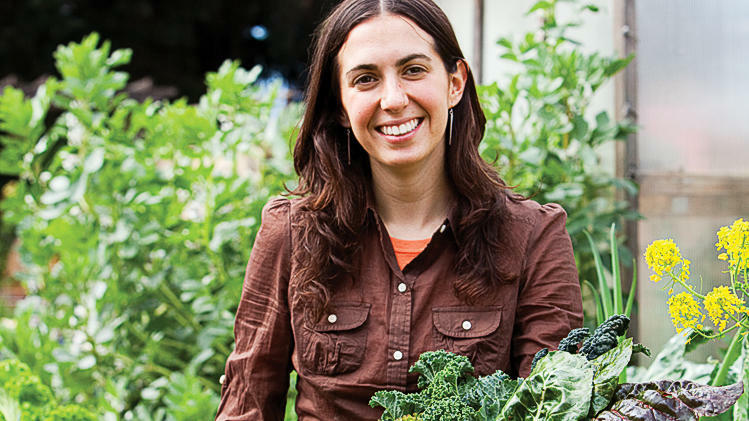 Pick young to eat as microgreens, or use larger leaves in stir-fries. 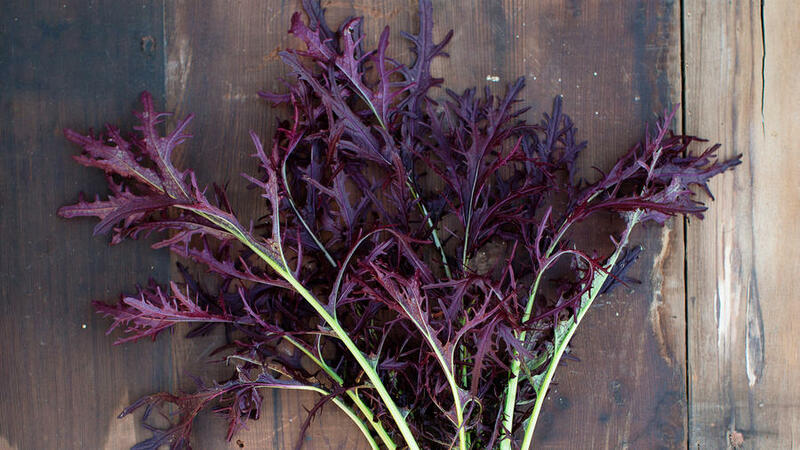 Versatile and delicious, young foliage adds crunch to salads and sandwiches, while dried yellow flowers make an aromatic tea. A rarity at the market because it doesn’t store or travel well; pick young leaves directly from the garden for a spicy addition to salads. 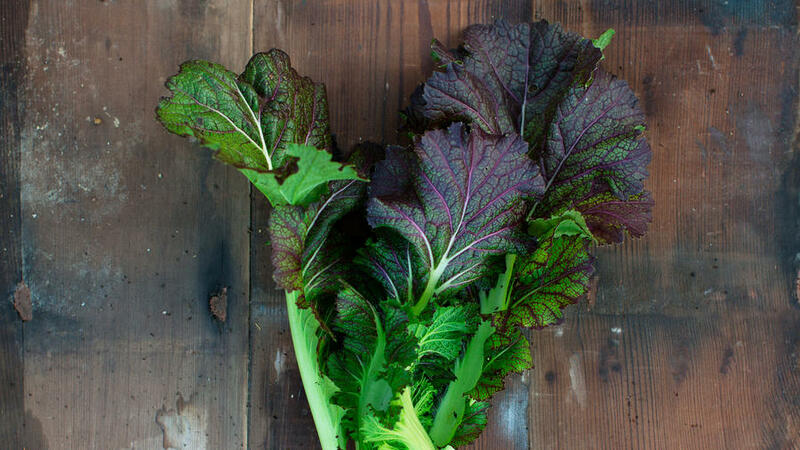 Fast growing and cold-tolerant, these mustard-flavored greens are packed with vitamins and ideal for gardeners living in chillier climates. Soil. 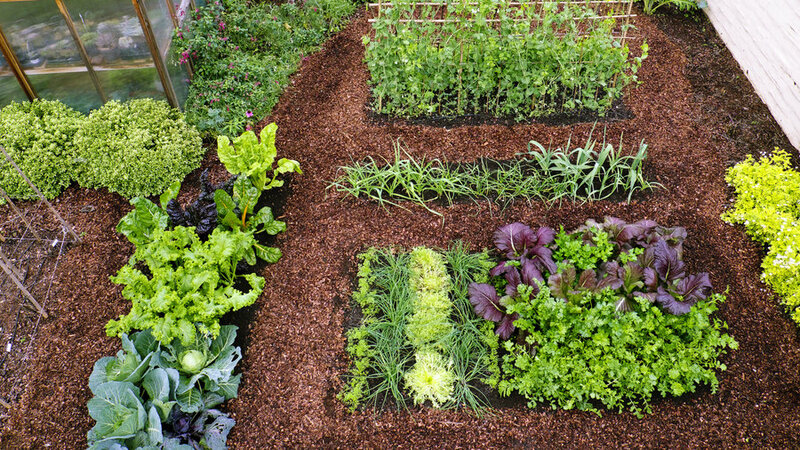 Till the bed with a garden fork to remove rocks and break up clumps before raking the soil smooth. 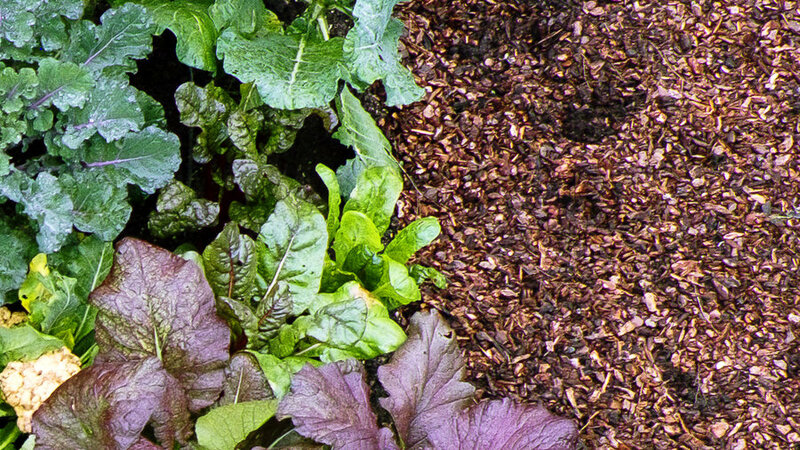 Then cover the soil with a few inches of compost, till that in, and rake again. Planting. Start most of the seeds indoors in September―except arugula, which you can sow directly in the ground―then transplant seedlings outdoors six to eight weeks later. (In cold climates, plant in spring.) Always sow extra seeds in case some don't germinate, and keep excess seedlings in case any plants in the ground fail. Spacing. Though you can follow the recommendations on the seed packets, space seedlings on the tighter end of the range so the beds will look lush. Place different shapes and colors next to one another. 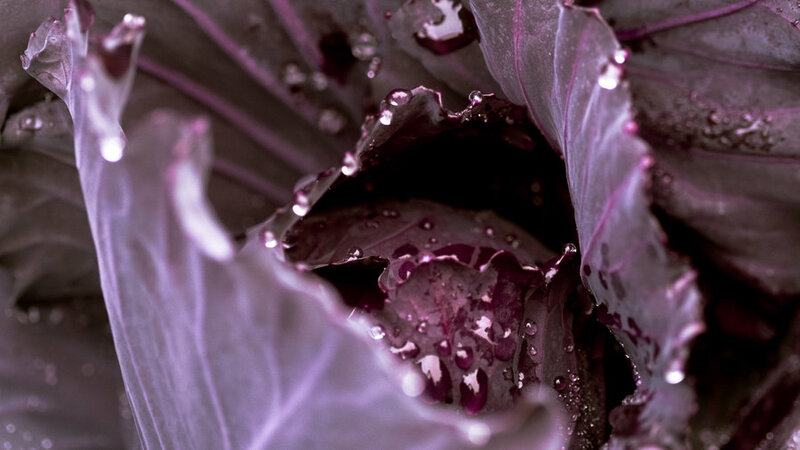 Here, frilly green leaves of chartreuse mustard pop against purple cabbage. 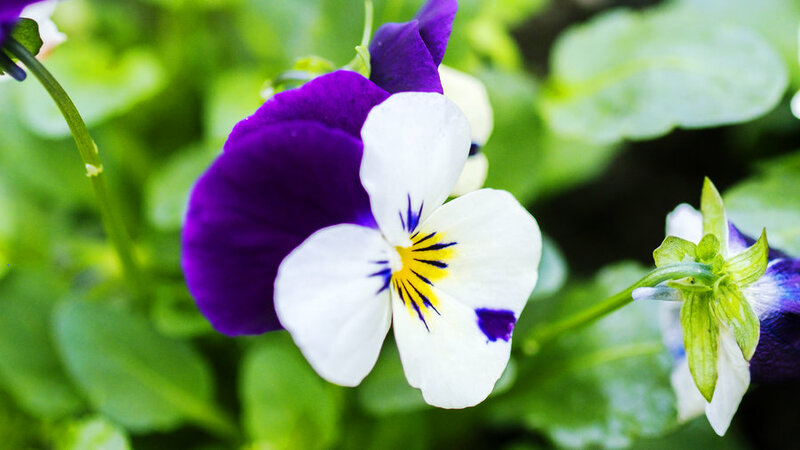 Include an edge of violas for cheer; the edible blossoms can dress up winter salads too. 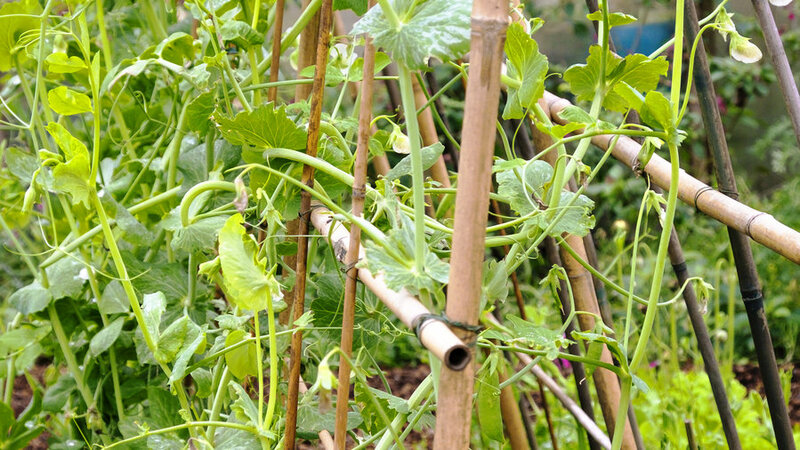 Create a simple A-frame trellis out of bamboo and wire to support vining snap peas­—and add a lush backdrop to beds. 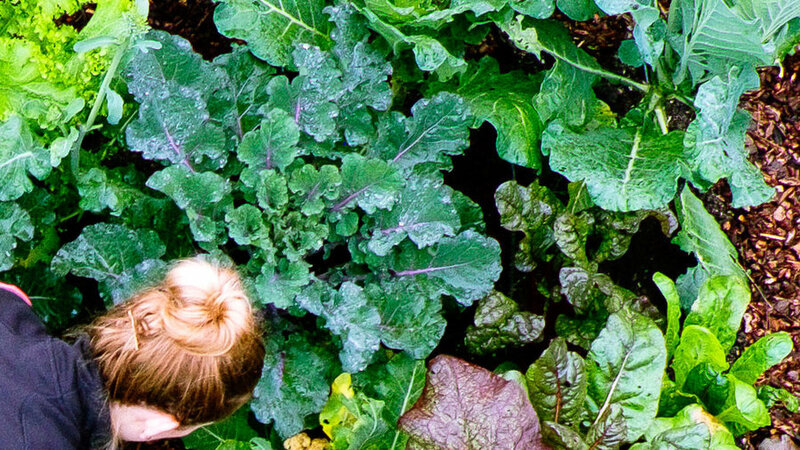 Plant crops that produce all season, like kale and chard. They maintain garden structure as you pull out single-harvest ones, like cabbage. 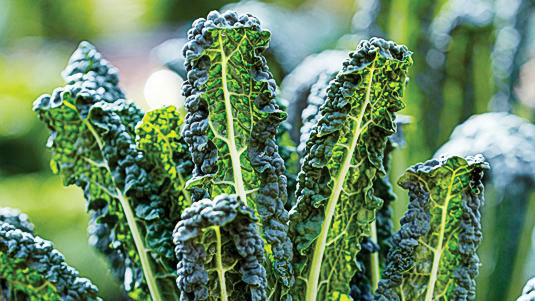 Cut the outer leaves of cool-season greens—such as collards, kale, mustard greens, and Swiss chard—often to encourage new leaves to form. 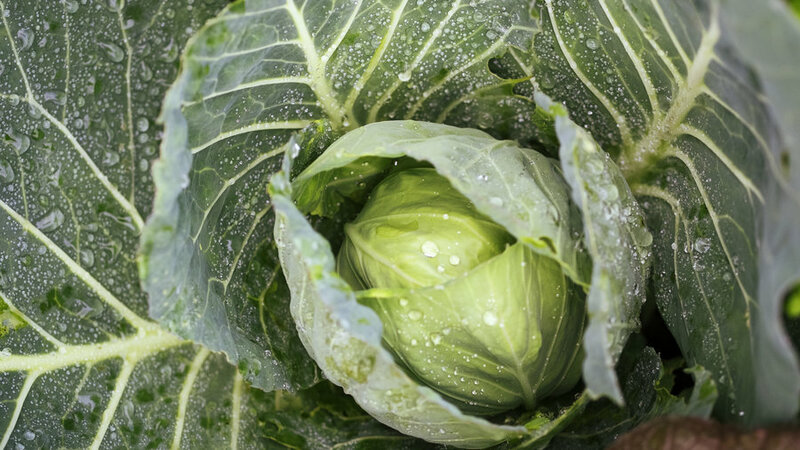 For head-forming crops such as cauliflower and cabbage, use pruners to cut off the heads when they’re firm and well-formed. 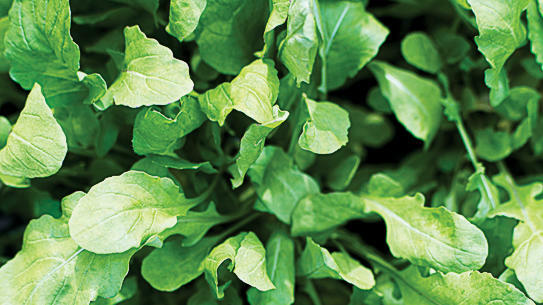 When arugula reaches 4 to 6 inches tall, shear it down to 1 to 2 inches tall so it will regrow. У нашей компании нужный сайт со статьями про эксклюзивный дизайн интерьера. Узнайте про интересный сайт про направление https://rbt.com.ua/.